In order to take the best care possible of your home, you need an expert service provider to partner with, for your Hendersonville log home restoration service needs. Ask around and smart home and business owners will tell you that Taskmasters Wood Maintenance is the name that you can trust in. We are a family owned and operated business, dedicated to going above and beyond, when it comes to your service needs. We take great pride in the work that we do and that is evident from the results that we are able to get for each of our clients. We also make it a point to offer a variety of essential services, so that you can get everything that you need from us. Let us be your one stop shopping professional for all the log home restoration services that you could possibly need. A quality built log home can withstand the tests of time for decades, if not longer. However, it does require upkeep and maintenance and, with enough passage of time, total restoration services. 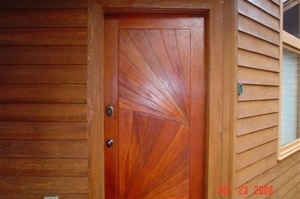 Let us be a part of helping you restore and revitalize your log cabin rustic paradise. Decks and Docks – Adding a structure like a deck or dock to your property is a wise idea. Not only are they functional, they enhance the visual aesthetics and the property value. The important part is to make sure that you have the quality workmanship required to keep yours in tiptop shape. Soft Wash Roof Cleaning – Cleaning your rooftop has to be done so in a manner that does not end up harming it in the process. This is why we offer the soft wash roof cleaning service that we do. Residential Pressure Cleaning – For other parts of your exterior that can handle pressure washing, without the fear of damage, let us provide you with residential pressure cleaning. From your driveway to your gutters, we can take care of this for you. Let Taskmasters Wood Maintenance provide you with the service work that you need and the quality results that you deserve. We take this line of work seriously and are honored to be able to offer essential services like wood restoration and pressure washing, just to name a few. So give us a call right now and let us provide you with service excellence. If you're looking for a professional log home restoration contractor in Hendersonville, then give us a call 252-266-9457 or complete our online request form.